Does anyone know if these are the seller's own drawn images; or if they have been lifted from someone else? 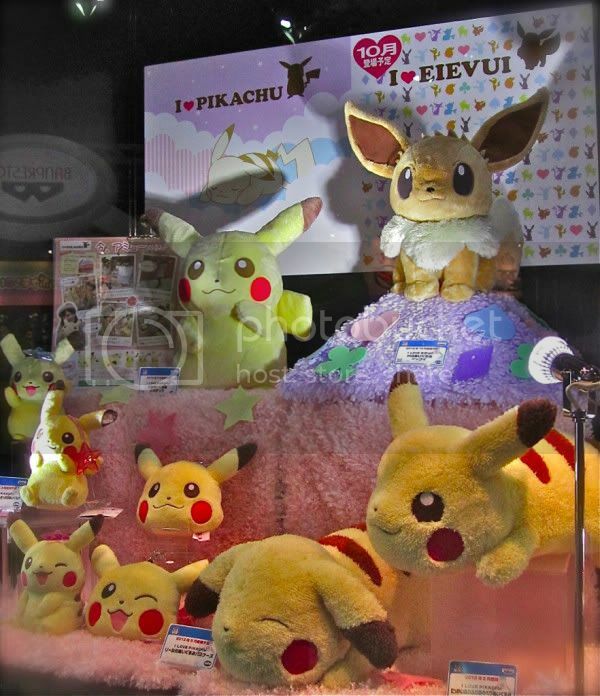 I really like Raichu (duh); but I don't want to fund someone who may have taken someone else's images. Has this ever concerned anyone when buying custom badges? Has anyone ever actually bought custom badges from eBay? i just got pokemon fan volume 21, and it was pretty lackluster RE: merch. no news we didn't already know, and lots of pics from the maggyo and type focus promos that came out...a month ago?? come on dudes!! there was this tho. the next pokekids set we did not yet have pics of! enjoy! What kind of Movie 15 merchandise are you hoping for? 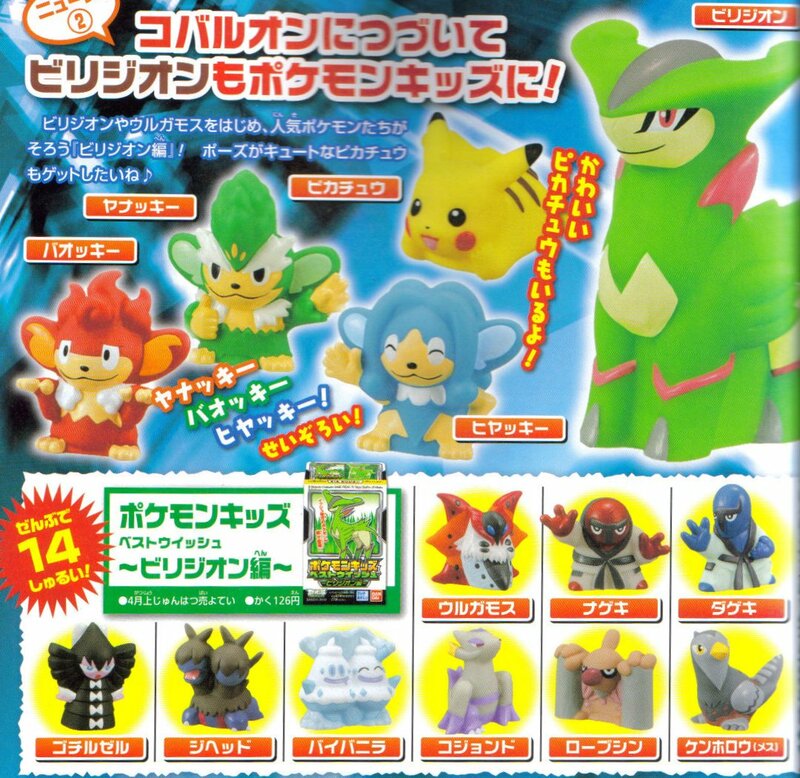 -pokedolls of the muskedeers and kyurems! semi-DX size perhaps? -revelations of all the movie zukan pokemon. come on, maggyo! -what the kids of the kyurems will look like. i know they'll come out... i just love the designs and love seeing them! What do you do when you want to waste time? Hey guys! It's been quite some time since I've posted an update. I came across a high want browsing eBay. Something I haven't seen listed in a long time. Unfortunately, the seller only ships to the US. Is there anyone willing to middleman for me? Its the time of the year again and I will doing the GB for the Virizon Kids set. I'm completely new to Livejournal and this community. I've been lurking for a looooong time but I was always too shy to join and didn't have an account. The temptation got to me though, and well... here I am? I'm tewz and I come from the tiny country that is Holland. I really don't have much of a collection (yet? ), but I have some picture of the things I do have! I don't know what is up but I am still here :) I check my computer every day even if its just for 5 minutes! Him: Who is our favorite? Him: Which Pokemon was the one that could talk? Him: Oh yeah wasn't he part of Team Battlestar Galactica or something like that? I updated my sales too if anyone wants to have a look! Prices lowered, new things added! Also, here's a collection update. I have purchased more since I took these pictures, so expect to see those soon as well. Hope you enjoy. Question/Wants and an Updated Collection! 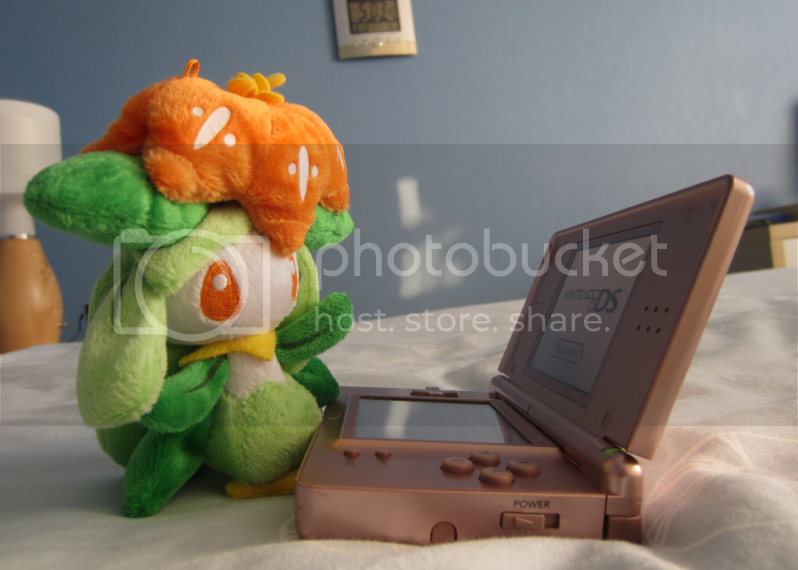 1st is about Noppin, I have just won 4 auctions (all of them for plush) anyway there are 6 plush in all and I was wondering what to do about shipping etc? Im totally new to the whole Noppin thing so please help. Also I heard Aipom has a canvas plush, is this it? Since joining the Comm I have bought the little Growlithe Canvas (named Bob), the little Cubone (named Pudgy) and the 3 Mcdonalds toys (Zoroark,Reshrim and Zekrom) ... like I said there are more items coming (another 17 plush) <3 can't wait! Out of the 12 Next Destinies packs I've opened I've only found one EX card, and sadly it isn't a full art. I'm looking for both Reshiram EX cards. I just collect TCG cards for the artwork for the Pokemon I collect(Victini, Tepig, Reshiram, and a few others). I am looking to trade this Regigigas EX card for a Reshiram EX! EDIT: Found someone to trade with! Look at the pretty picture! I bought this really neat flat when I was very, very, very very young (we're talking over 10 years ago! ), and it's just the neatest thing. I've had it hanging on my fridge in my apartment for a while now set to the Charizard panel, and it's not until now that I realize this comm. can help me figure out exactly what it is! Togekiss plush (fake??) pokemon tcg badges and a pikachu ds case. Wants, grail and cards, OH MY! So the lovely puyro has invited me to go to Conneticon with her this yea and though I really should be saving my money for my trip to Disneyland in October, I said yes! 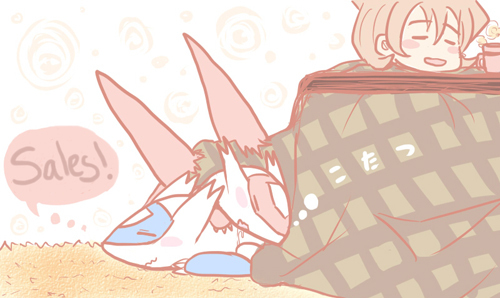 I've been dying to go to a con again especially with the new B&W PKMN out and the new KH game coming out as well. Either way, I have some retired cosplays that I just don't have the energy to get myself into nor the money because I would like to keep it cheap so I can spend more at the dealers room/artist alley. ANYWAY, I decided that I will be cosplaying as a Team Magma grunt and would love to have a little mascot to prompt up on my shoulder or something. So I am looking for either a Houndoom line, Poochyena line or Groudon plush! I really don't want to pay more than $15 shipped and can be a bootie. Hi everyone! I have been keeping quiet on the collecting front lately, but I'm gearing up to come back in full force. Just today I've been rearranging things and fixing up holes in my room so my pokemon have a nicer place to live.. But that's for another post. I don't have the time to put together a megapost these days, but I do want to show off a couple of exciting gets! My Pokemon sales has been completely updated! I took all new photos of everything (but had to go to work so couldn't take all of them in nice sunlight :|) and I have added a bunch of new items and there are LOTS of lot deals including Eevee, Charmander, card, TFG, zukan, and etc.! Please check it out! Haggling is OK but of course please be reasonable! They are art cards of whatever Pokemon you choose in a simple background for just 5$! This includes fees and shipping and all that :) Feel free to combine a custom with any of my sales. Anyway I'll re-introduce myself later! It's nearly Spring and it's time to clean up and sell some merch I have laying around! All info under the cut! Looking to start a new collection and this is what I came up with. Frillish and Jellicent. It was pretty much love at first battle! What's the best way to display flats? Or better yet, how do YOU display your flats? I've run into the problem where they pretty much are lined on my new bookshelf, taking most of the room. It just looks crowded and messy to me. :/ Of course, I put all my TCG in a small card binder. That I have no problem with. Thanks, all. I think I've got a pretty good idea on how I'm going to display them now! Until then if you have any items of these two that you don't see here; (besides the 3rd wave charms those are on the way; and a retsuden stamper for Sigilyph) let me know! I'm looking for both Sigilyph cards in Japanese. New Pokemon With You and Keldeo merchandise? Pictures do NOT belong to me, I have taken them from Hardrock! 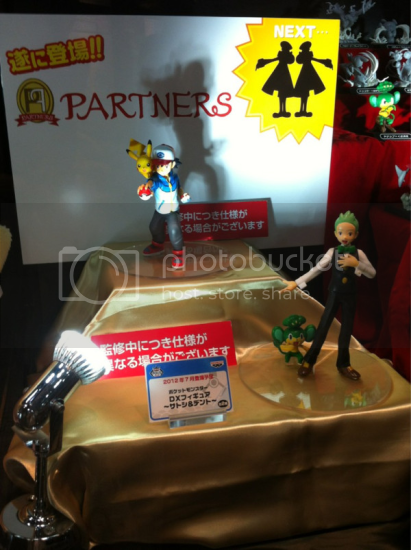 According to @Coborico on twitter, these figures will be released by banpresto in July!! And as you can see in the corner, the Subway Masters, Ingo and Emmet will follow! I've updated my sales! Just some new cards, nothing too fancy. Just a reminder, anything in my sales post that isn't gone by March 15th is getting donated to a local anime convention as prizes, so if there's anything you want, get it soon! (I do accept full and partial trades and haggling, by the way). Also, anything else Sewaddle related. I'm not particularly interested in flats, but other than that, show me what you've got!